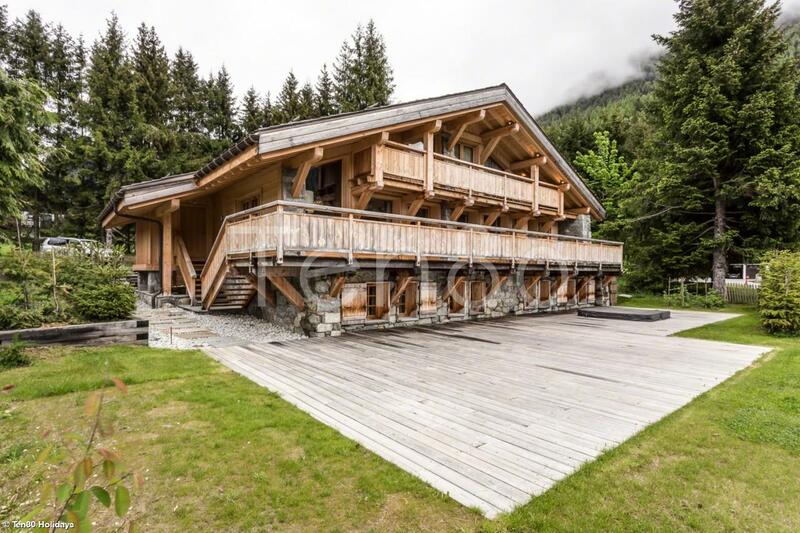 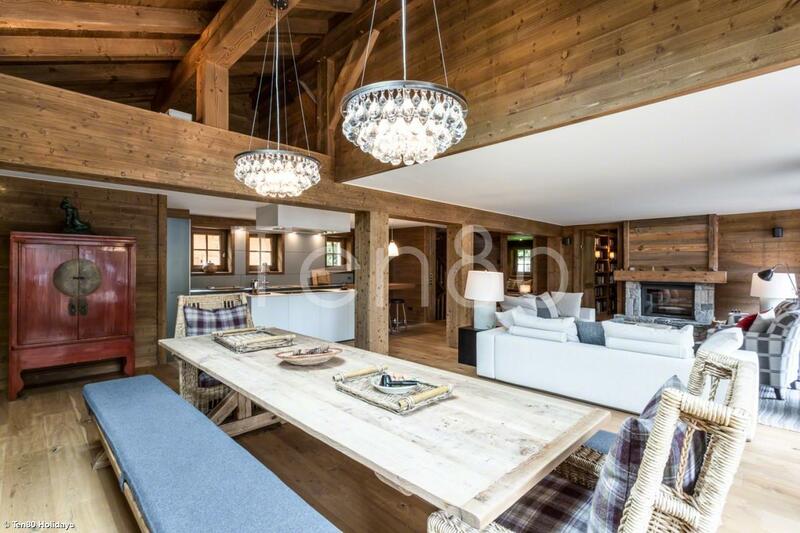 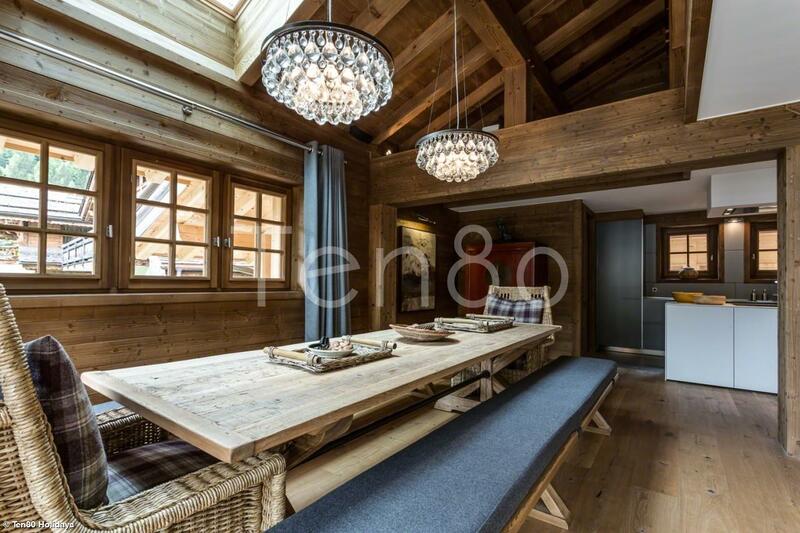 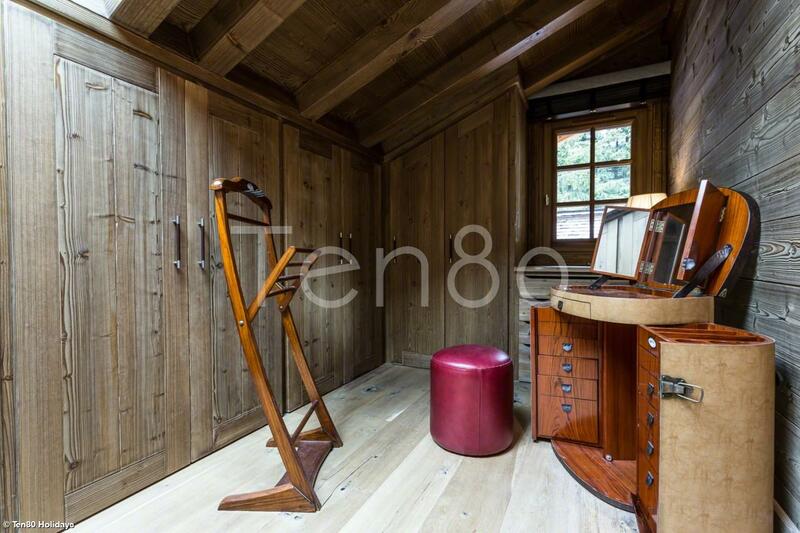 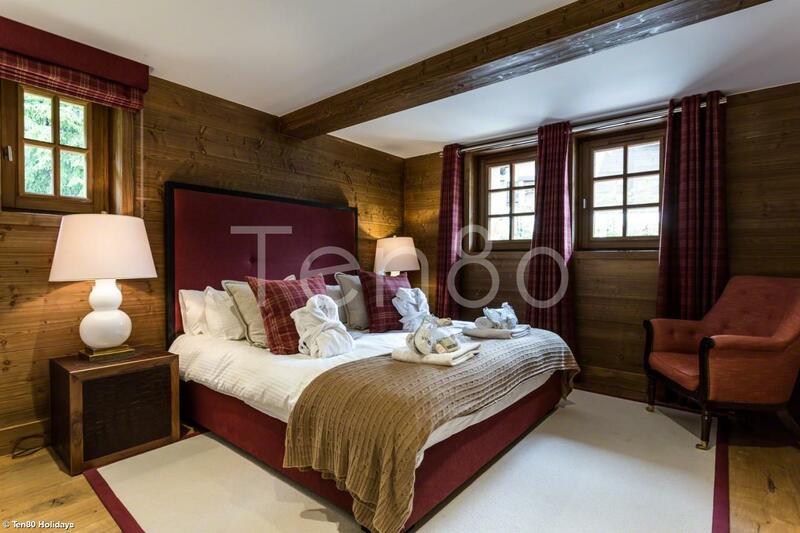 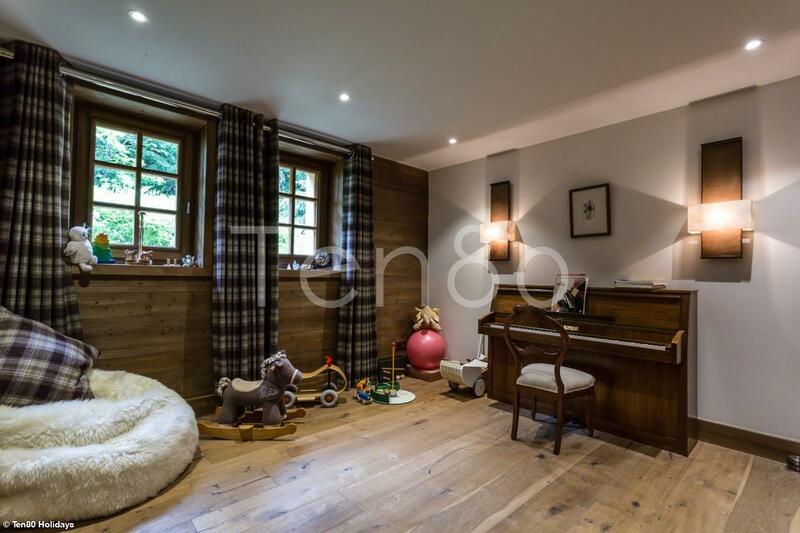 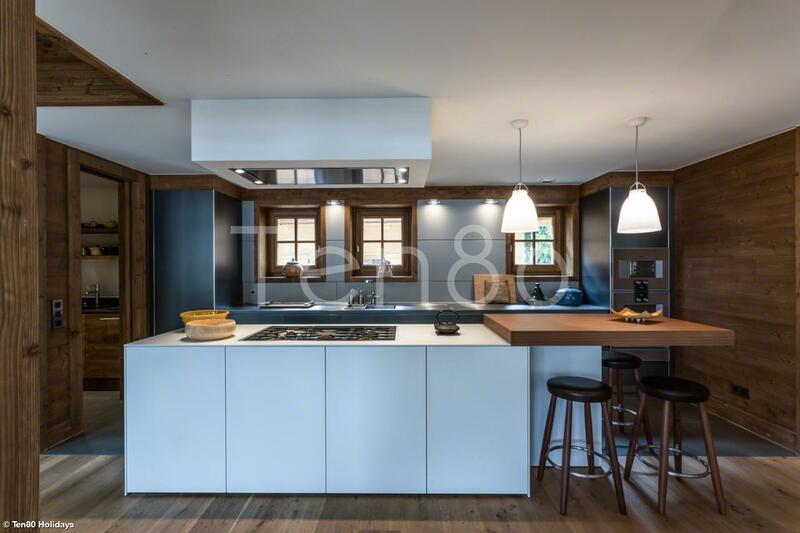 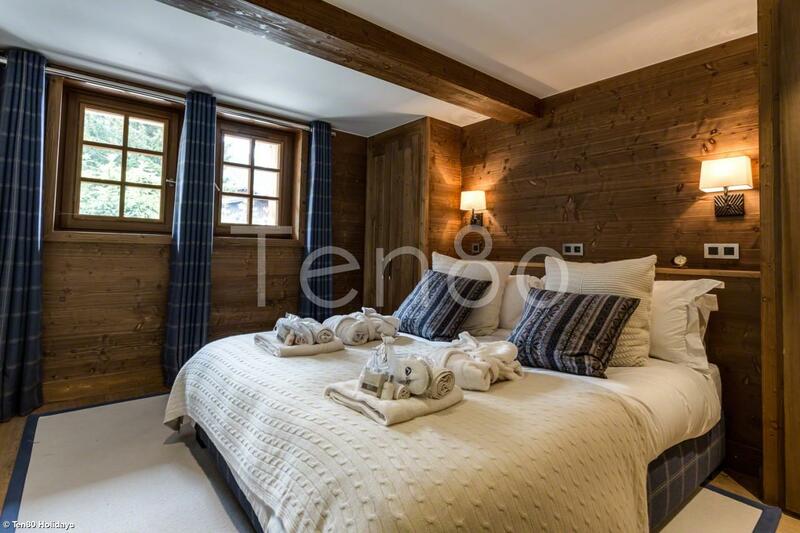 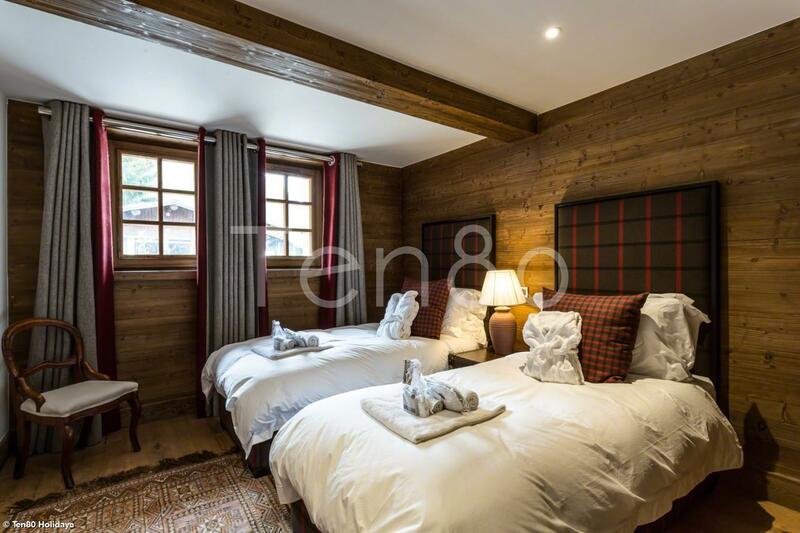 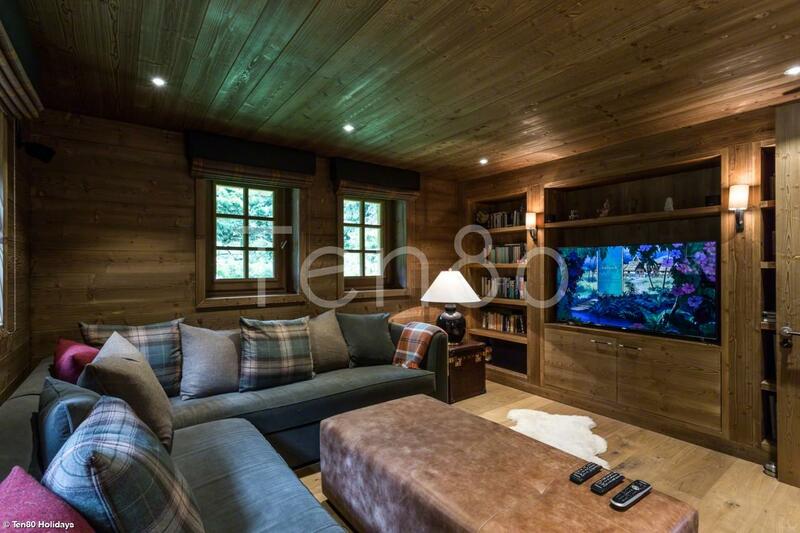 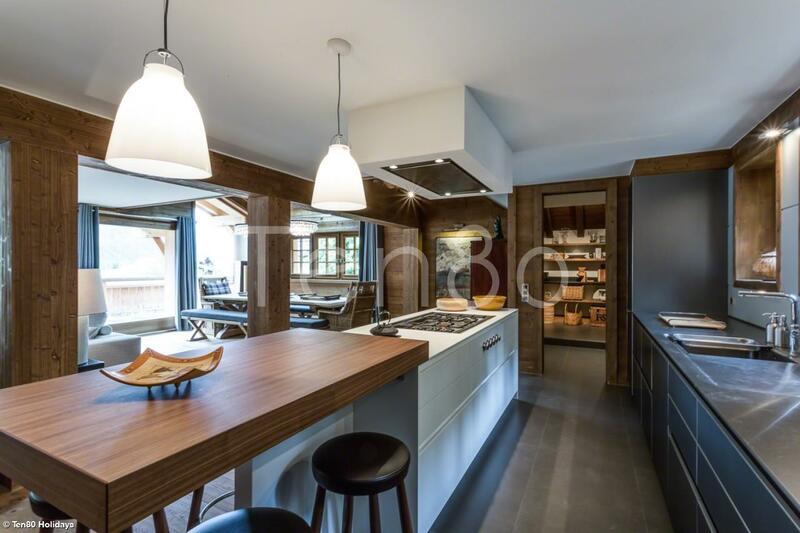 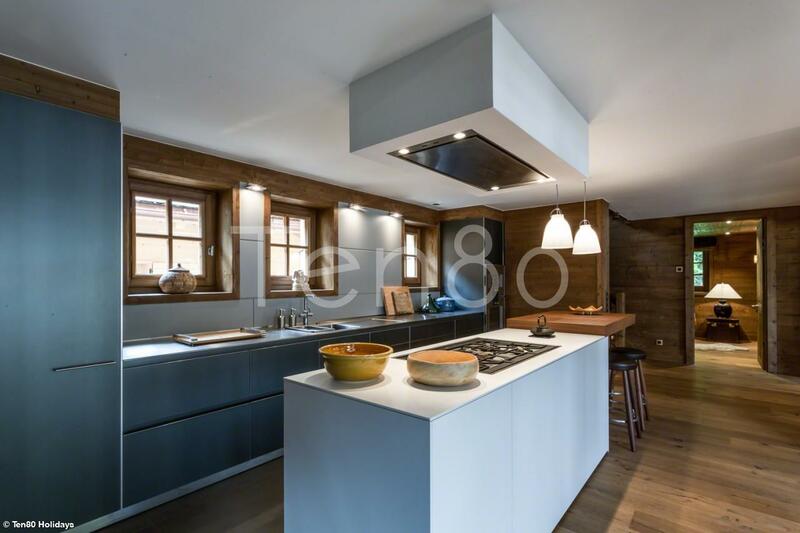 Simply the most refined and elegant chalet of our collection. 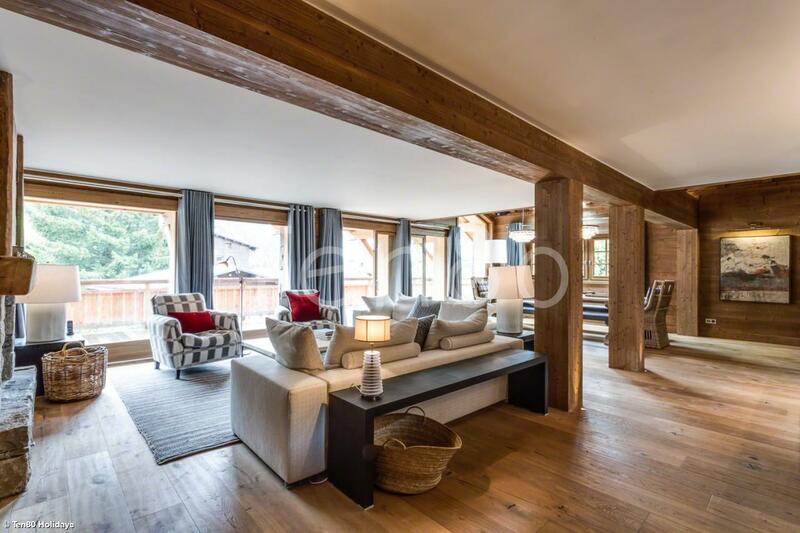 A lovely 'massif' Grosset Janin build combined with the multicultural and well-travelled owners taste, has created one of the most sumptuous chalet that we have seen in the Valley. 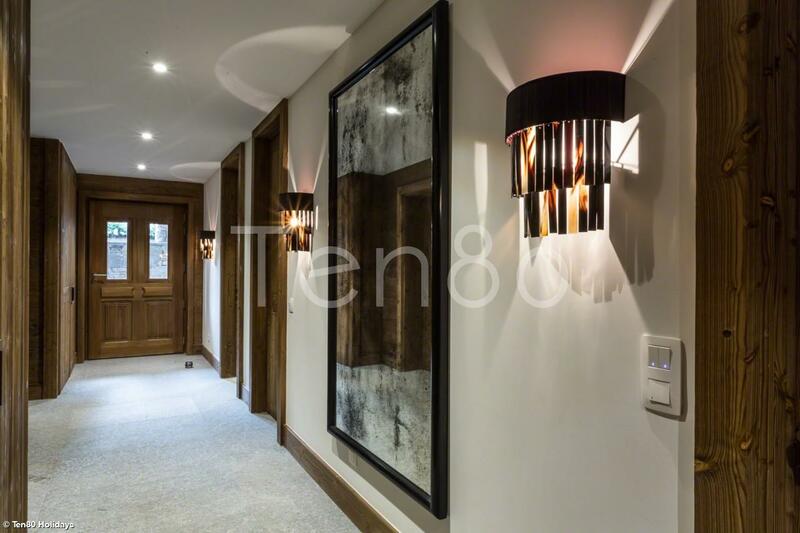 The volumes are perfect, the decoration a blend of local, Asian and city chic. 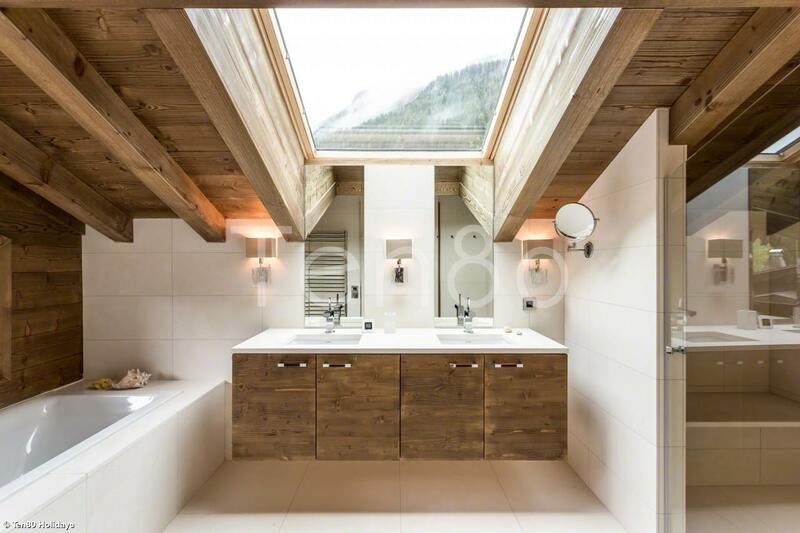 Very unique, very lovely indeed. 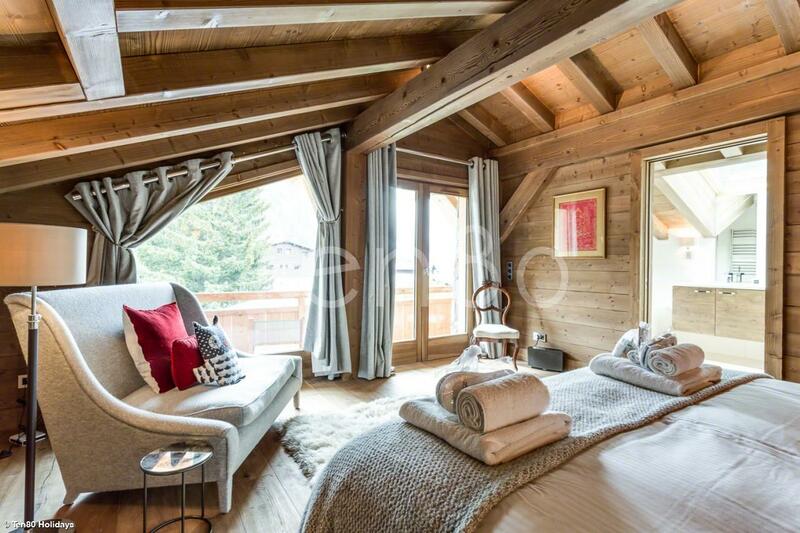 The master suite occupies the whole of the top floor with en-suite, dressing and amazing views down the Valley. 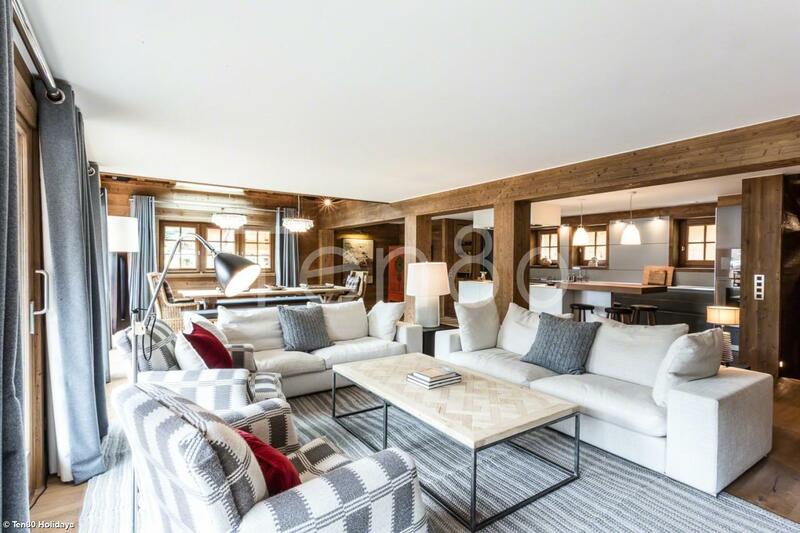 The main floor has a stunning Gageneau kitchen with island, pantry with seperate staff entrance, lovely dining area, cosy lounge with fireplace, separate office, library and TV room. 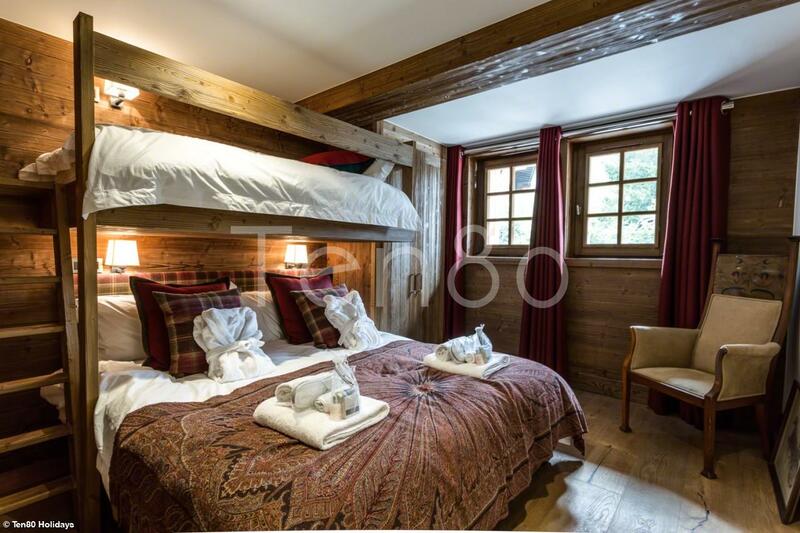 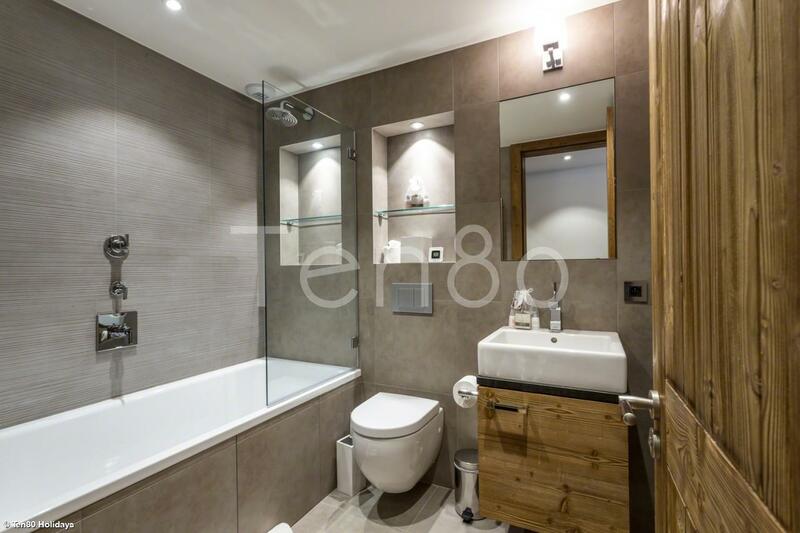 The other four bedrooms (all en-suite) are downstairs as well as the sauna and boot and ski rooms. 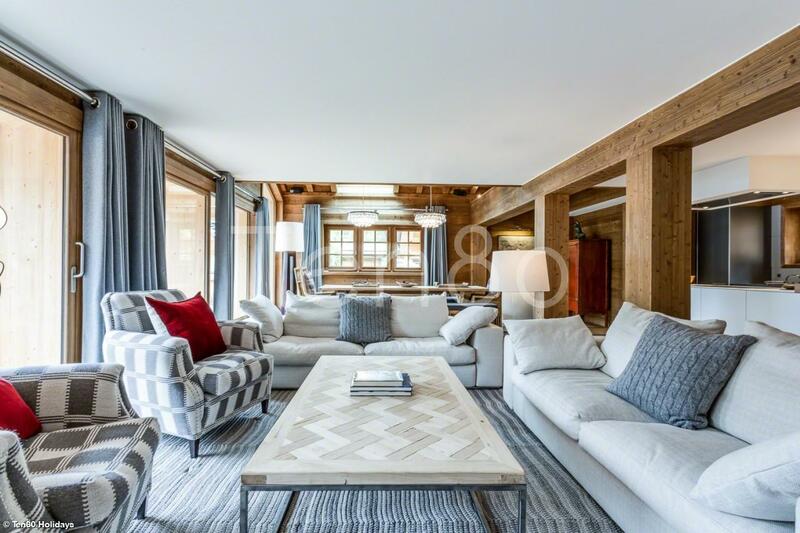 Dinner - A delicious 3-course meal prepared by a private chef 5 days per week with wines paired for each meal - Menu to be chosen by yourselves before arrival. 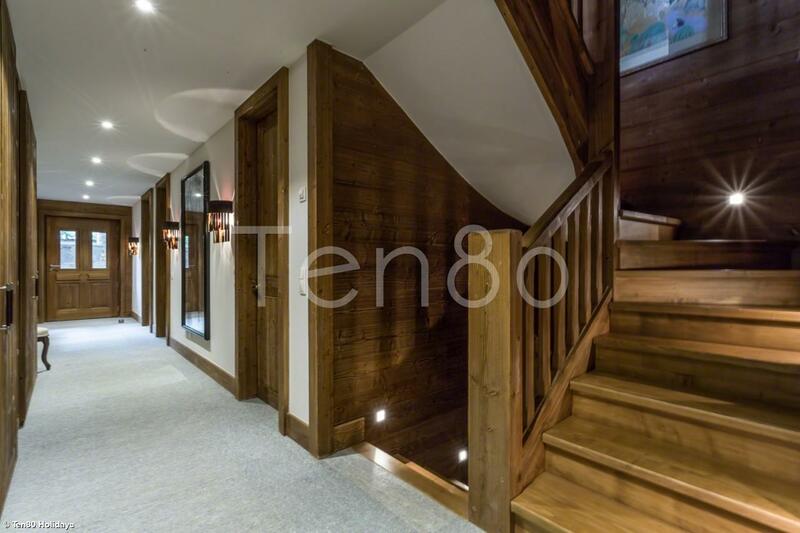 Entrance hall with boot and ski storage, bedroom 5 with en-suite, bedroom 4 with en-suite, bedroom 3 double bed with bunk bed and en-suite bedroom 2 with en-suite, sauna and shower room, separate guest toilet. 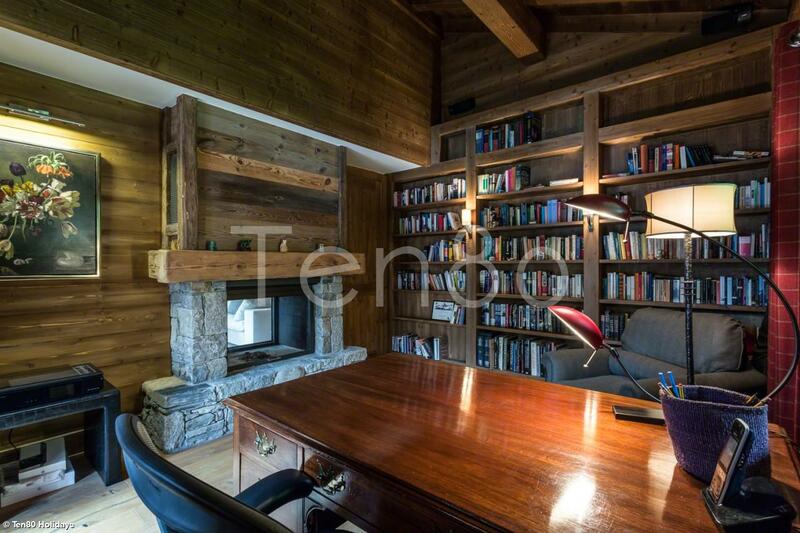 Laundry room in the basement, double garage with additional ski storage, sunken jacuzzi in terrace.